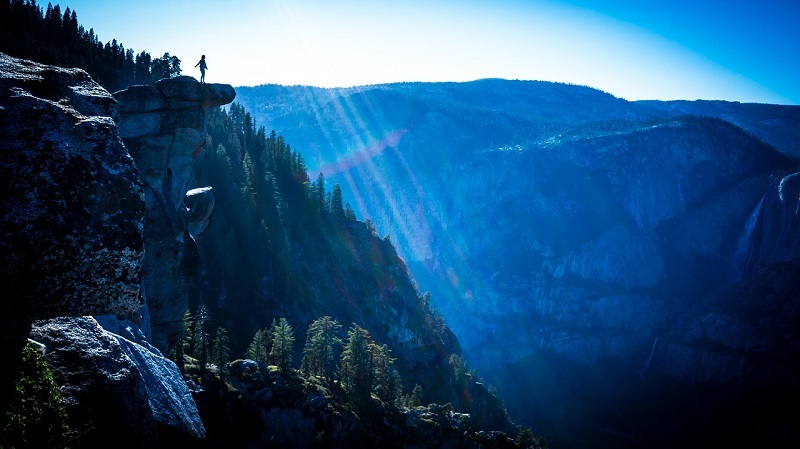 Yosemite National Park Scenic Drives | Top Routes, Stunning Scenery! The trip to Yosemite National Park in California was undoubtedly the highlight of my vacation in America. It’s one of those few places on this Earth where even the most eloquent of linguists will be left speechless. There are simply no words adequate enough to describe the beauty of this magnificent park. In order to appreciate the park’s highlights, consider spending a few days, at least, exploring the different sections of the valley. 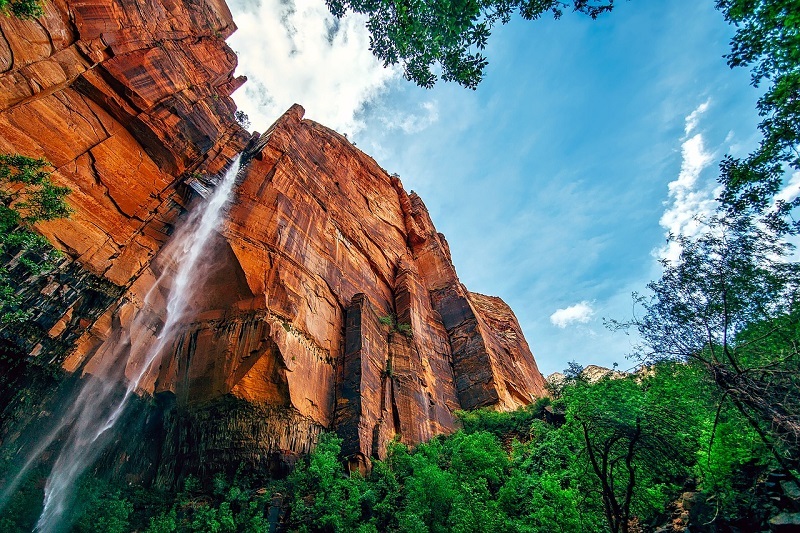 However, if your time is limited, and visiting Yosemite National Park with a car rental from San Francisco or San Diego is your only option, here are a few itineraries you can choose from to maximize your USA trip. One of the more scenic roads to take when visiting Yosemite on wheels is going through Tioga Pass, the continuation of California Highway 120. Wide vistas with views of the rugged Sierra Nevada and its pristine alpine lakes are a common sight for those traversing Tioga Road. In late spring and into summer, visitors will also see a burst of wildflowers scattered around the meadows. 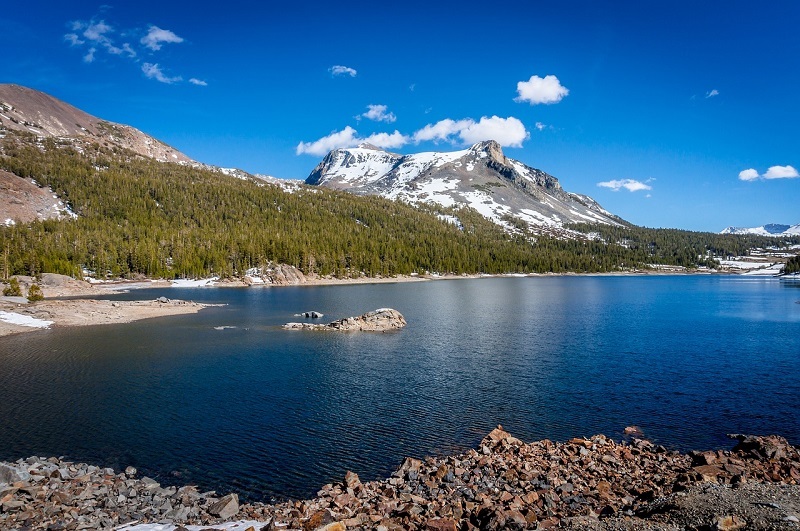 Some of the highlights to see on the 59-mile drive on Tioga Road towards Tioga Pass include Tuolumne Grove, where you can view Giant Sequoia trees, Tenaya Lake for some beach relaxation and Mono Lake to observe some of the park’s most prolific wildlife. Likely one of the most traveled routes when visiting Yosemite on wheels is the California Route 140 way, which begins from Merced and goes onward to the Sierra Nevada foothills. Also known as El Portal Road, it takes visitors to the small town of El Portal, just outside the boundaries of the park where there are a number of cabins and campgrounds available to stay. 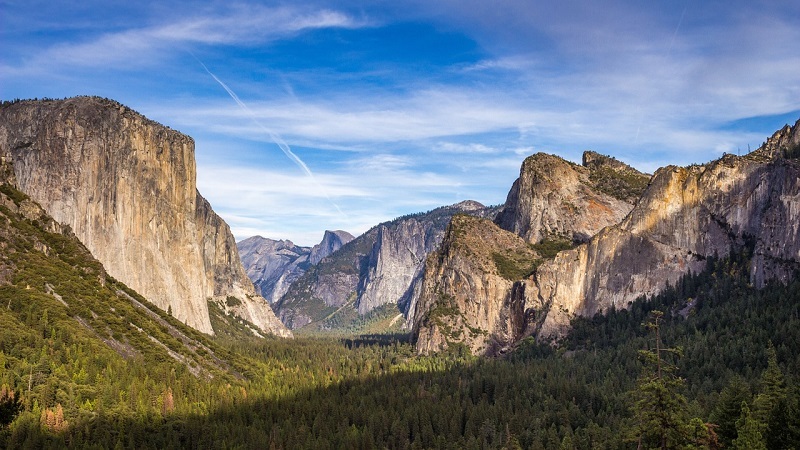 One of the highlights of this route include a stop at the Tunnel View viewpoint, where visitors get a spectacular panorama of Yosemite’s most famous sites including Yosemite Valley, El Capitan and Half Dome. One of the shortest and worthy itineraries when visiting Yosemite on wheels is taking Glacier Point Road. This short, but scenic 16-mile drive culminates at Glacier Point where visitors will get the best views of Half Dome and the surrounding valley below. After your stop at Tunnel View viewpoint, take your rental car from Wawona Road and head uphill towards Badger Pass. This popular ski area is only open in winter. You’ll also see signs for McGurk Meadow where you can access a trail that will lead you to the Bridalveil Fall.